This from the Evening NEWS. A CROSS-PARTY “Keep Scotland in Britain” campaign is expected to be launched in the new year to counter the SNP’s drive for independence. Reports today said former Chancellor and Edinburgh South-West Labour MP Alistair Darling could take a prominent role in the campaign along with former Liberal Democrat leader Charles Kennedy. Bella loves the possessive phraseology of the campaign slogan and wishes these two stalwarts all the success in their campaign. Hearts of Oak. At least Charles Kennedy will not belittle Scotland like Murphy, Wilson and the other one who’s name I cant remember but I think he’s a tory. As to Alistair Darling; yes, we really can take lessons from this guy. He knows all about economics, doesn’t he…? An independent Scotland would still be in Britain just like Denmark ,Norway and Sweden are all independent but in Scandanavia. Oh dear, Oh dear What a dreadful shame that the LibDems in Scotland are now nothing more than a third, and very minor, unionist party. Whatever the result of the referendum, If Kennedy plays a major role in this organisation, he will not be re-elected. This is a spoof, right? A good one but of course it can’t be true – if only. A discredited former Lib Dem leader (is there any other kind?) and a former caretaker chancellor who took us into the worst economic crisis in eighty years. These two should be on stage, though, doing stand-up or perhaps fronting a band, ‘Champagne Charlie and the Bouncing Cheques’. Paddy Asdown & David Steel. Hate to be pedantic but Scotland can’t leave Britain much like Sweden can’t leave Scandinavia. Doesn’t quite have the same ring to it does it? This cross party group is it just Labour and the Lib Dem’s or will the Tories join it too? 2 of the 3 Scottish Labour leaders candidates ruled out sharing the no platform Cameron and Tom Harris (who stands no chance of winning anyway) was not a fan of the idea either. So does that mean that this group will exclude Tories, I can see how Labour would be pleased with that but surely the Lib dem’s wouldn’t abandon their coalition partners? Or is it a case we’ll see 3-5 no campaigns, one Labour and lib ( both Hollyrood and Westminster) one Labour ( though mostly Hollyrood with some Wesminster) one lead by the Westminster Government ( so Lib and Tories) and possible smaller separate campaigns by Ruth and Willie? If so I may have to get down the bookies and see if they’ll take a bet on Independence as the no campaign sound like it’ll be a total shambles overall. I think that they (the Unionist) would stand a better chance if they had one unified campaign but the damage campaigning beside the Tories would do to Labour would be massive. That means then the debates leading up to the refendum will have one speaker for Independence and around 5 against? I can’t see Kennedy having anything to do with this, in my humble opinion i think Kennedy will sit this out till after the referendum then emirge a leader of the liberal party(Scotland) i.e. after Independance, as for Darling, he would be best sticking to giving talks on Capitalism’s failure’s. I’m with Andrew – Kennedy would be risking his local popular support if he took this line. Westminster has been no friend of Kennedy’s, neither has his party, so why should he lift a finger? 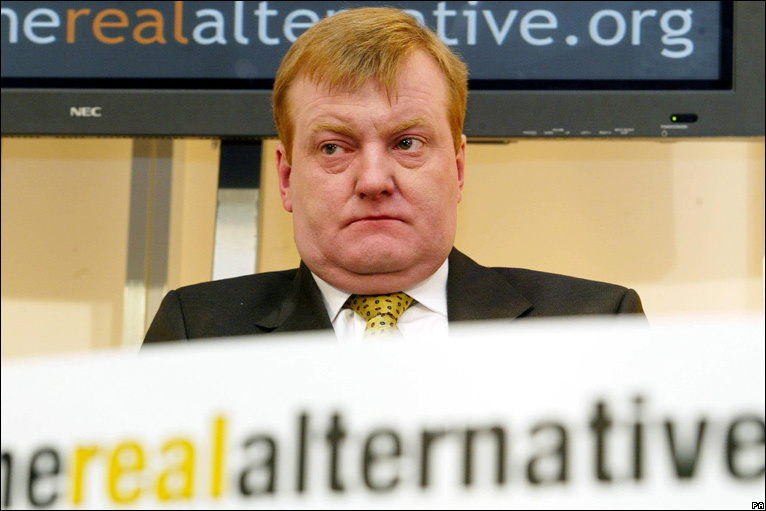 They want Kennedy to take the ermine and give up his safe seat so one of the Libdem weasels could sneak in, in his place, since three into two Libdems are not going to go in Scotland’s further reduced Westminster representation. Keep Scotland In Britain… why? Scotland isn’t going to be leaving Britain. Even if it were technically possible to dig a trench along the border and sail away from England with the SNP someone should tell them that’s just a wee jokey song, not a prospectus. I spoke to Kennedy about this a month ago. He restated his opposition to independence and that he would camapign against it in any referendum; he also mentioned the Campbell/Home Rule Commission yet did not say anything substantive on federalism. I also raised the interesting idea of Charlie swapping Westminster for Holyrood: a good idea! He didn’t rule it out; but could not see the practical circumstances (pre-independence?). Keep Scotland in the UK! Why should we listen to the Liberal acrobats or the Labour Party who have a former Scottish Minister who sat on the question time panel and ran the Scottish Government down,then when an Irish question arose said well being a Murphy I am interested in that! or Brian now Lord Wilson who when pushed by a interviewer said all steps including court action should be taken against poll-tax defaulters!, yes we need politicians like this as much as we need another invasion of a middle east country .It almost most makes it worth tugging your forelock to these Liberals and Socialists. A free and just Scotland for all our people is what is needed ,not a holiday home for wealthy Tories or safe seats for Labour hacks.